This book stresses the interrelatedness of knowledge by extricating models that cut across traditional disciplinary boundaries. For example, science can find models from the technology and semantic field of music, music can find its models from the technology and semantic field of science, and each domain may be guided by a philosophical or metaphysical principle - thus, the title of the book. But the book itself is structured as a mirror image of its title. 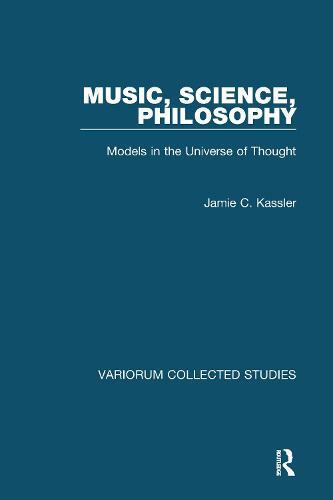 Chapters 1-6 provide instances of the role of music in such domains as epistemology and logic, as well as in the early modern sciences of developmental biology, continuum mechanics, anatomy and physiological psychology, whereas Chapters 7-10 provide instances of what some other domains of knowledge have given back to the philosophy and theory of music.